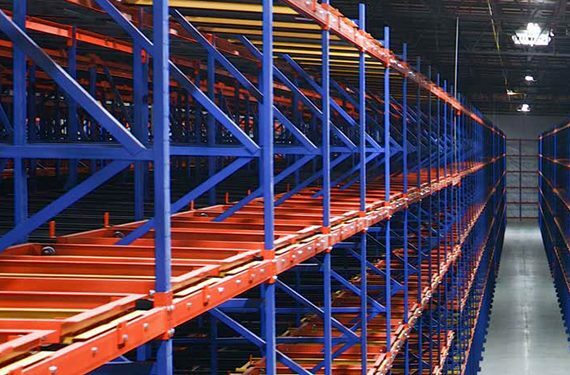 Industrial pushback racking storage systems are engineered to store pallet loads on both sides of an aisle at higher cubic densities approximately 25% to 65% greater than selective racking. That’s because these systems are built with a series of nested carts that roll atop inclined steel rails, typically two to six pallets deep per storage lane. Individual pallets are placed on each cart in succession, with the new pallet pushing back the load placed before it. 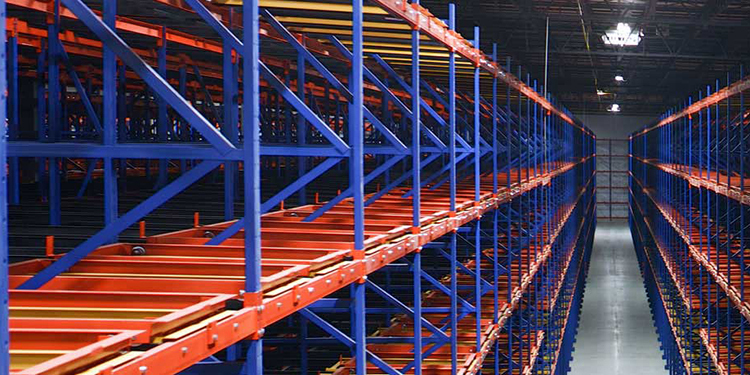 Because the lanes are loaded front to back, they provide last-in/first-out (LIFO) access, making pushback racking systems ideal for storing multiple pallets of the same product, particularly fast movers. 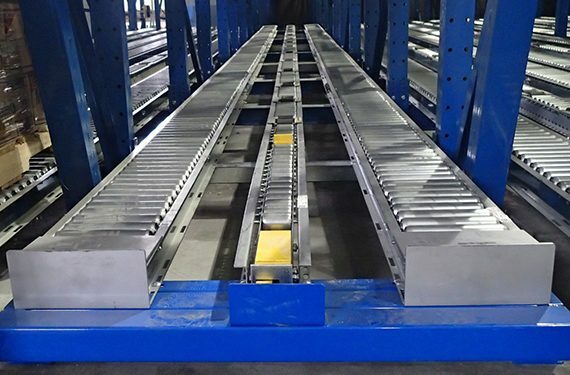 Because pushback rack systems rely on the pallet loads themselves to impel each load and cart in the series through the lane as they are stored—and upon gravity for the loads and carts to descend during removal (as opposed to a mechanized device)—pallet placement must be relatively precise. A lane of pallets also generates a significant amount of force, particularly on the load at the pick face. Therefore, it’s important to ensure operators are well versed in the best practices for safe loading and unloading a lane of pushback rack. Safe Loading (also called “Insertion”) Practices: First, it’s important to only load a pushback system with the pallet style or type it was designed for; not doing so can negatively affect system performance and increase the risk of a pallet not being seated securely in the lane. Additionally, loads must be placed on undamaged pallets and shrink wrapped or otherwise securely unitized to prevent products or cases from toppling off during loading or unloading. To begin the safe and proper placement of the first pallet into a pushback lane, the fork truck must be positioned squarely to the opening. The operator should lift the load approximately 3-4 inches above the top cart, centering the pallet over the cart (or over an optional centered stop device positioned on the lane’s front beam). With slope cart systems best practice is to tilt the forks up slightly to match the pitch of the rail. Once in the properly aligned position, the pallet is inserted into the system until it is properly placed. At that point, the pallet load should be slowly lowered onto the cart to prevent an abrupt impact that may cause the bottom boards to break. After lowering—but before removing the forks—the operator should confirm that the pallet is aligned properly as instructed by the manufacturer. 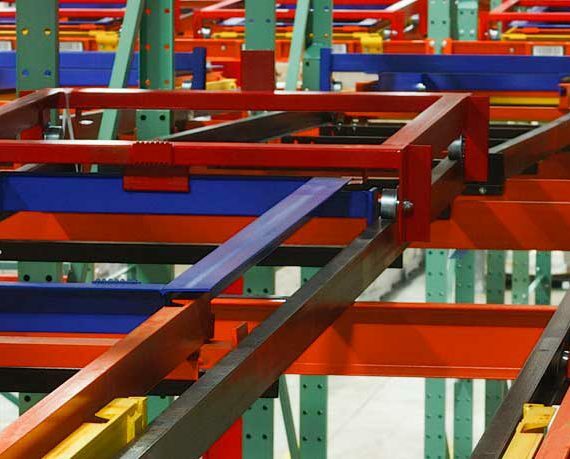 The forks can then be removed slowly, maintaining the proper angle of alignment to prevent damage to the pallet or the racking. To insert additional pallets, the next load is raised to a height approximately 4 inches above the cart. This ensures that the next pallet makes contact with the pallet already loaded in the system ahead of it and allowing the new pallet to push against the loaded pallet (instead of the load), preventing product damage and hang-ups. Then the previously described process repeats, with the new pallet placed as instructed by the manufacturer prior to slowly lowering it and removing the forks. The final pallet placed in the lane will rest on the pushback system’s rails and behind (not on top of) the optional beam pallet stop device if used. 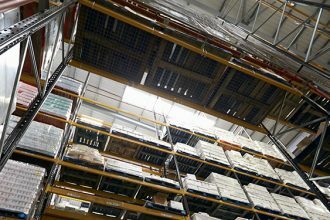 If any resistance is encountered when inserting pallet loads, the loading process should be stopped, and the issue investigated before proceeding. 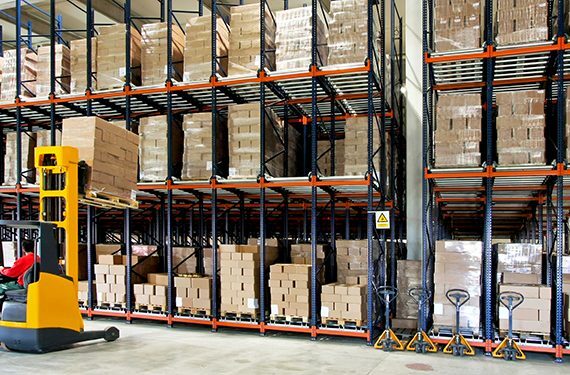 Common causes of hang-ups include improper pallet centering or positioning, prompting the pallet to snag on another cart or hit the uprights alongside the lane. Safe Unloading Practices: For safe and proper removal of a pallet from a pushback lane, the forklift should first be aligned square to the rack face with the forks tilted up slightly to match the upward slope of the system prior to entering the fork openings. Once the pallet is on the forks, it should be lifted about 4 inches prior to backing out of the system. Critically, the speed of the forklift as it backs out with the load is what controls the descent speed of the subsequent pallets and carts. Therefore, load removal must be both controlled and no faster than the speed of the subsequent pallets as they flow forward in the lane. 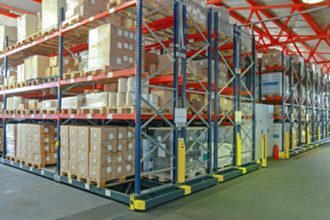 If a forklift exits with its load too quickly, the following loads may advance too fast, colliding with the front of the system and causing damage to the racking. The impact may also jar the load, prompting boxes to come loose and fall—raising the risk of both injuries and product damage. Tips on safe approaches to un-jam pushback rack systems can be found here. Looking for more storage rack safety guidelines? 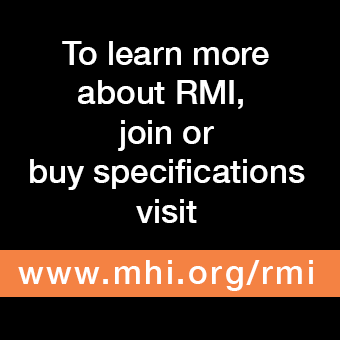 RMI will be presenting a free educational seminar, “Storage Rack Safety 101,” on Wednesday, April 10 at ProMat 2019 in Theater F at 11:15 a.m.